5 Dragons slot by Aristocrat was one of the first 243-way slots to appear online. 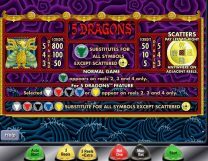 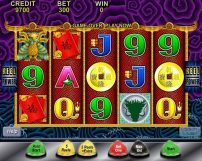 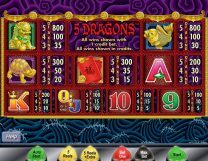 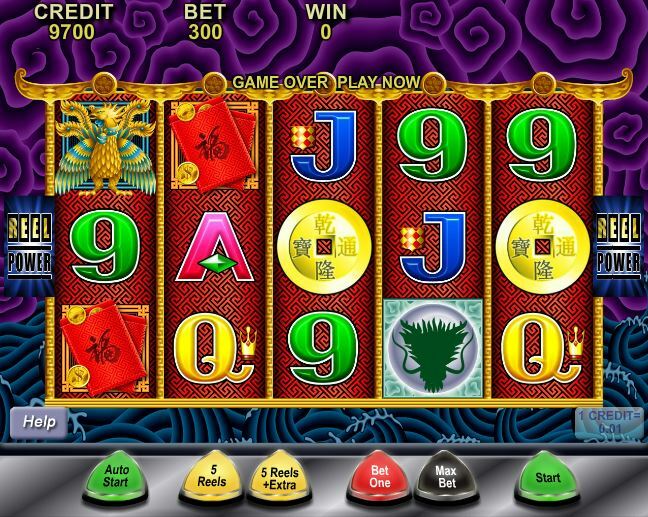 A 5-reel 3-row game with wilds on the centre 3 reels and a Chinese theme, 5 Dragons has an exciting free games round when you land 3 or more lucky tokens on consecutive reels from left to right. 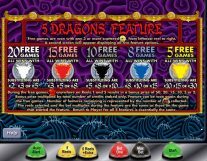 There are 5 different free games types to choose from and in each a different coloured dragon becomes the wild symbol on reels 2, 3 and 4. 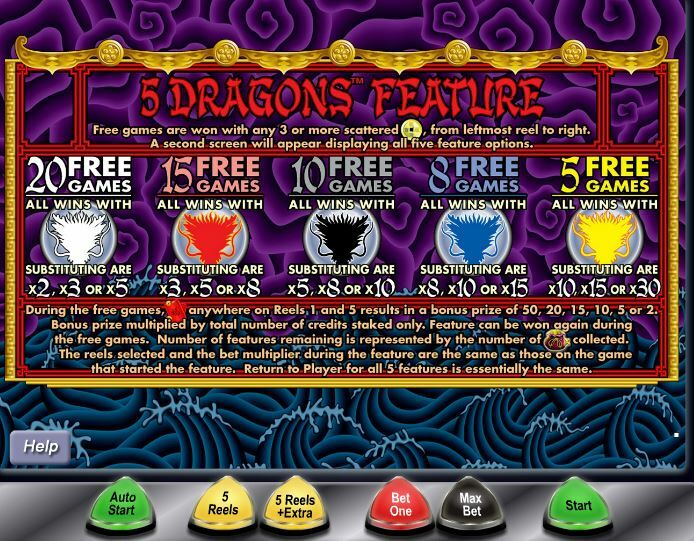 This is important as any wins featuring the dragons are multiplied so you can choose 5 free games whereby the yellow dragon Wild awards a 10, 15 or 30x multiplier right up to 20 free games where the white dragon awards a 2, 3 or 5x multiplier if included in a win. 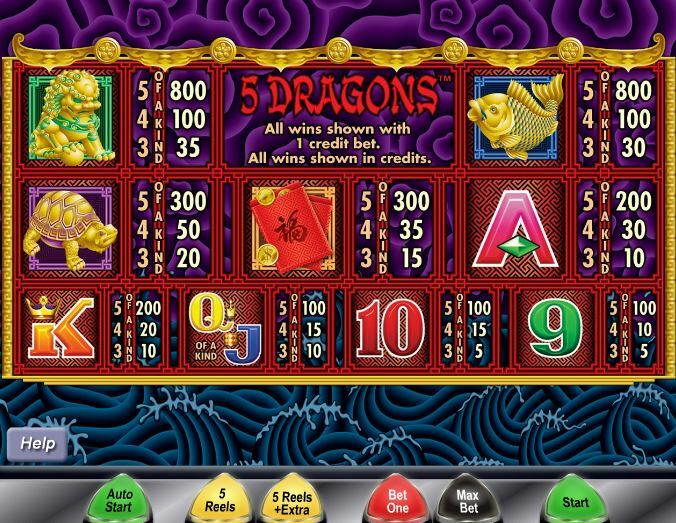 The game is quite volatile so the RTP ranges from 90.93-95.17% dependent on choice of free spins.